Brian Herring celebrated the end of his Star Wars 9 work by posting some behind-the-scenes pictures of BB-8 from The Force Awakens and The Last Jedi. The puppeteer is clearly grateful for his time spent on the set working with J.J. Abrams and crew, and really, who wouldn't be? There's a reason why Kevin Smith cries when talking about visiting a Star Wars set. Herring had this to say. "Today was a wrap on BB-8. The last 5 years have been an amazing ride. Thanks to J.J. Abrams, Kathleen, Neal, #teamBB8 especially Dave and the entire cast & crew for the time of my life. Few people get to live the dream. Thank you." Brian Herring is literally the man behind BB-8. The actor wore a green suit so that he could be removed during the post-production process and is the reason that we get to see the round droid make his way around the set. Additionally, Herring was a puppeteer for some of the Porgs in The Last Jedi, but don't hold that against him too much. He was in on the development phase of BB-8 from the very beginning and remembers director J.J. Abrams revealing that he wanted to do as much stuff as he could practically, which meant that someone was going to have to push the BB-8 droid around. While pushing BB-8 around in the desert seems like a pretty easy job, Brian Herring was in a full green suit to operate the character and ended up putting a lot of sweat into his performance, at least on Jakku. 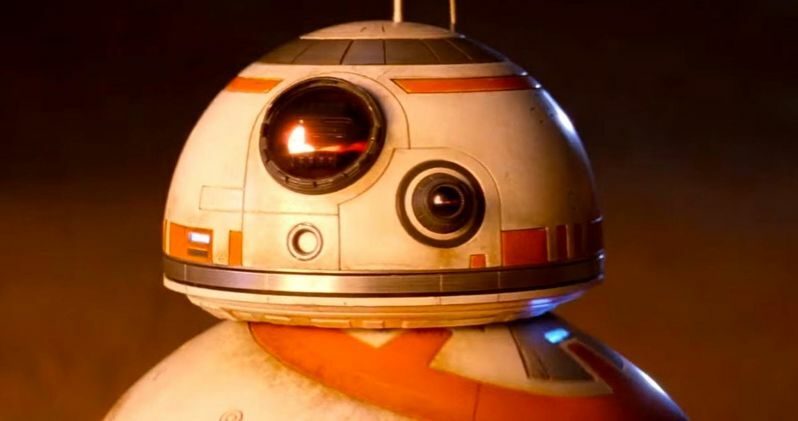 From there, he and other puppeteers got to work on the crazier parts of the droid, including the part in The Last Jedi where BB-8 is helping to repair the X-Wing at the beginning, which many believed to be CGI. Well, it's not clear whether or not we'll get to see BB-8 on the big screen again, so enjoy him in Star Wars 9 and the hard work that Herring put into bringing him to life. You can check out the production wrap announcement below, thanks to Brian Herring's Twitter account.